Dr. Stephen Stukovsky asks that his New Patients please check in 30 minutes prior to their appointment time. Please bring your Photo ID, insurance card, and a list of any medications and/or vitamins & supplements you take. Thank you! Dr. Stukovsky joined Mill Creek Family Practice in 2007 after completing his residency at the University of Washington. He has enhanced training in dermatologic procedures and received an Area of Concentration Award from the University of Washington for his extensive study in the care of skin. 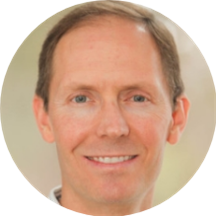 He believes in integrating healthy lifestyle choices with proven evidence-based treatment strategies to maximize patient health. Away from the office, Dr. Stukovsky enjoys tennis, skiing, fly fishing, hiking, camping, and gardening. He and his wife live in Seattle.